I don't know about you, but I love discovering little secrets behind a book like that Ernie Prang and Stan Shunpike, the driver and conductor of the Knight Bus in Harry Potter, were named after J. K. Rowling's grandfathers. 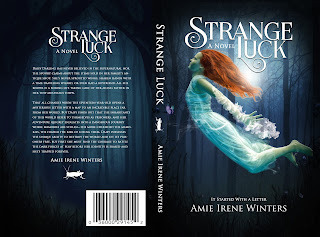 It's so much fun discovering these little secrets, so I thought I'd share some secrets of my own about Strange Luck. Enjoy! 1. The fortune-telling cricket is real! Well, sort of. 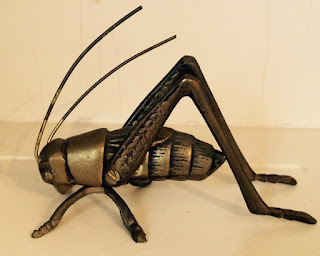 Growing up, my parents always had a little cricket statue in our living room. When I got older, I asked where it had come from and my mom told me it was given to her by my great grandma who said it would bring their home good luck. I always thought that was neat, so when it came time for me to live in a house of my own, my mom gave me the cricket. Since then, it's traveled across the country with me and it currently resides in my living room. 2. Although Sea Salt, CA is a fictitious town, it is based on a combination of my favorite ‘real’ towns in California - Half Moon Bay, Santa Cruz, Pescadero, and La Honda. 3. Daisy’s relationship with Roger started out in a similar way to how my relationship started with my now husband. We actually met in high school and became good friends, but I never thought he liked me until one day he asked me for my phone number. 4. Roger’s dog, Millie, is based on my first dog ever with the same name. 5. I love to antique! A lot of the antiques in the shop were inspired by real things I’ve seen or read about over the years. 6. The idea of “collecting memories” in a fantasy world came to me as I passed by a cemetery on my way to work one day. 7. My grandmother, Mary, died before she got to read this book, so I wanted to find a way to remember her. Her favorite flower was a daisy and one of my favorite memories was planting daisies with her. There was never any other name I entertained for the protagonist. 8. 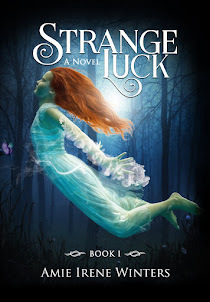 I wrote the first two chapters of Strange Luck and then abandoned it or forgot about it for some reason. About a year later I was cleaning files on my computer and found the story and decided to finish it. 10. 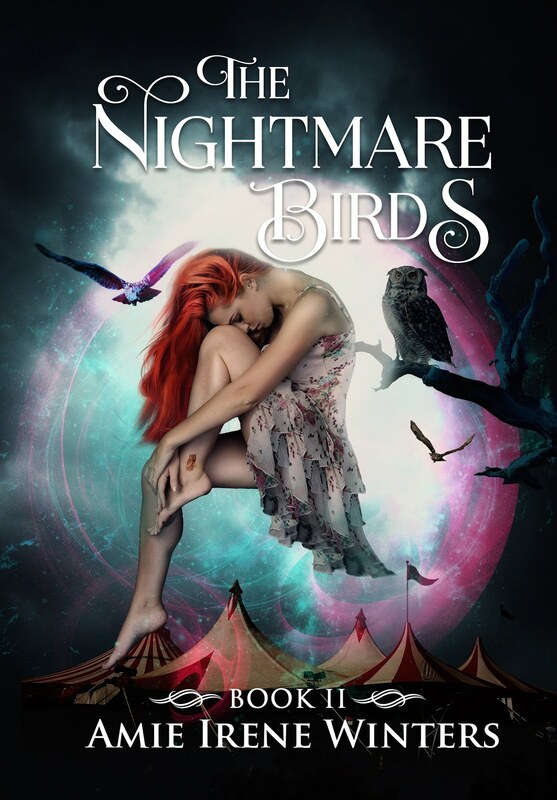 The Nameless world was inspired by Fantastica from The Neverending Story (book and movie) and The Labyrinth (movie). Bonus: This book was fueled by cappuccino's and chocolate...and I enjoyed every tasty minute of it. Now you share! 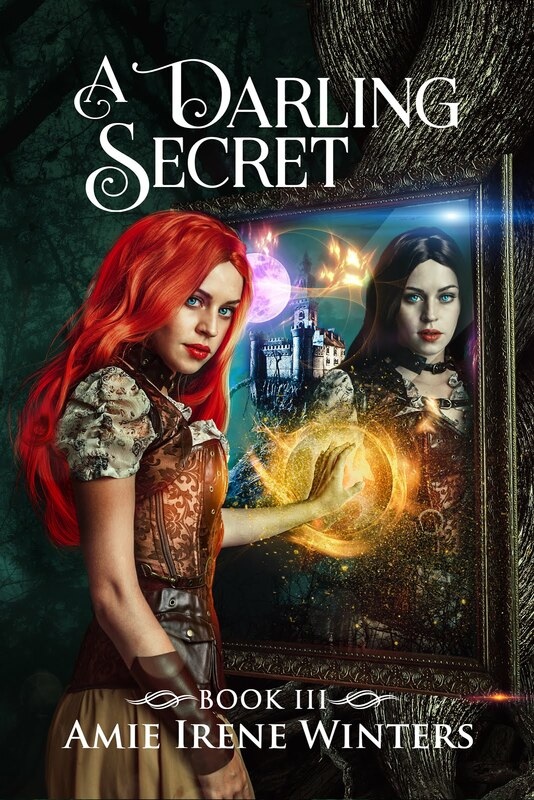 What are some secrets from your favorite books?